Sugar Lane is an architect's dream. 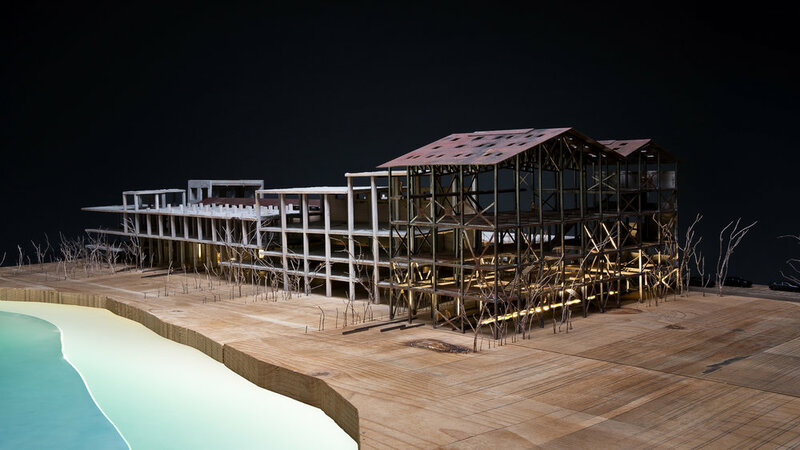 The abandoned sugar refining factory is the perfect invitation for reinventing adaptive reuse by the seaside. To encourage such happening, a design study in model, programming and design is undertaken to explore the dormant potential of the factory. But the area has changed faces meanwhile. Designers, art foundation, high-end shopping, galleries have flourished on the seaside strip mixing industry and design in a strange new hybrid. The current co-owner of the plot, direct descendant of the family that produced sugar now wishes to transform this abandonment into a new artistic potential. In coordination with local and international actors, we seek to implement a design hub in synergy. Culinary arts, office incubation, art market, design museum, roof club and the design 'souk' will infuse a new life into the carcass merging it in a new landscape, a new waterfront experience and an architectural promenade that seeks to makes the excitement of walking in a labyrinth of ruins a daily pleasure for creators, art appreciators and the general public alike. La femme bonbon at Sugar Lane project by Karim Nader and Mira Hayek is inspired by the factory of the same name on the seaside highway. Its grand longitudinal volumes, direct proximity to the mediterranean, and its fantastic textured interiors in a beautiful state of decay, offer the dreamt opportunity to juxtapose the colorful geometries of Mira’s “Femme Bonbon” spring collection 2017 onto the stark gray walls of the burnt out structure. The video, directed by Nina Najjar, stage-sets two of those women in their quest through the labyrinthine spaces of the abandoned factory, its dark corridors, high- contrasted double-volume spaces where no door ever opens onto the expected ending. 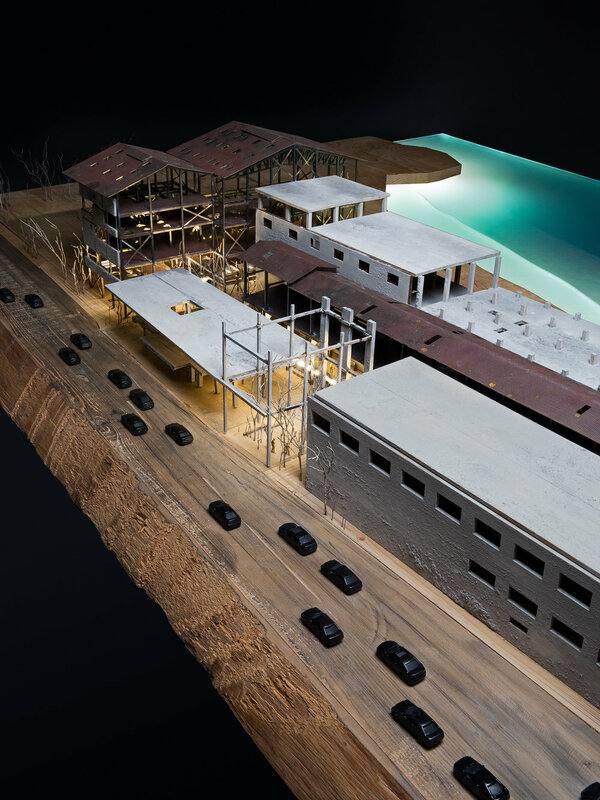 The presentation of the project during the Beirut Design Week 2017 combined the projection of the fashion video with a raw large-scale model of the factory, in steel, acid-etched glass, solid wood and concrete. Designed by Karim Nader with Elias el Hage. With MAK Builders / Rami Kassem.